EDT to discuss fourth quarter and full year 2018 financial results. against its strategic priorities and performance. 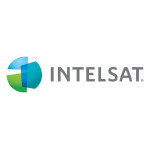 be accessible through Intelsat’s Investor Relations web site at www.intelsat.com/investors. is +1 855-859-2056, and for Non-U.S. Participants is +1 404-537-3406. The participant pass code for the replay is 8486258.
and transform the ways in which we live.